Here’s what’s up in the world of TV for Friday, March 10 and Saturday, March 11. All times are Eastern. 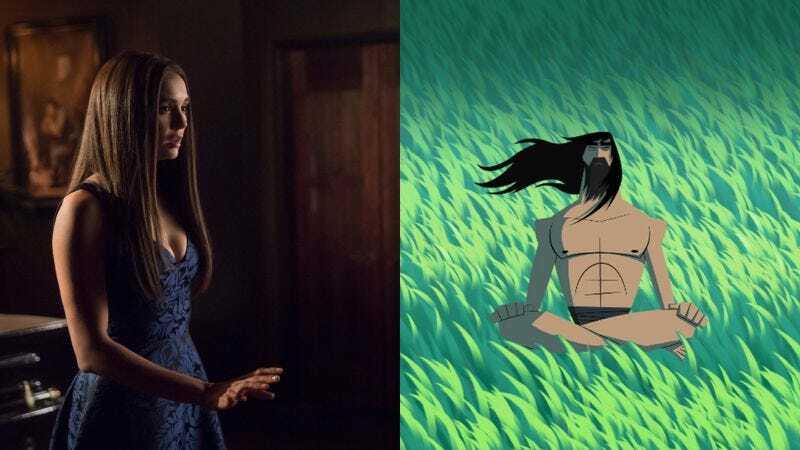 The Vampire Diaries (The CW, Friday, 9 p.m.)/Samurai Jack (Adult Swim, Saturday, 11 p.m.): The circle of TV life is in full effect this weekend, as the show that brought the handsome undead back to The CW ends its run 20 years (to the day!) after Buffy The Vampire Slayer’s series premiere. While Nina Dobrev’s Elena prepares to make her return to Mystic Falls, Carrie Raisler readies her farewell to the sharp-toothed immortals of the Salvatore family. In an entirely different type of TV afterlife, Genndy Tartakovsky’s beloved animated series Samurai Jack airs its first new episode in nearly 13 years, kicking off a fifth and final season of the titular warrior’s epic struggle against the shape-shifting demon Aku. Eric Thurm was recently sent a cease and desist from his own personal Aku, so he could use some fresh Samurai Jack right about now. Jerrod Carmichael: 8 (HBO, 10 p.m.): While you wait for NBC to set a premiere date for The Carmichael Show’s third season, get a glimpse at the topics that are currently rattling around in his head via this stand-up special taped at New York City’s Masonic Hall.